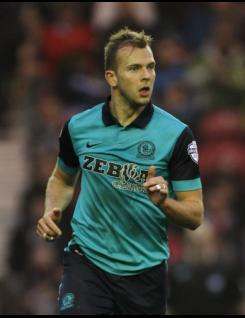 Jordan Rhodes is a young striker who signed for Huddersfield Town in the summer of 2009.&nbsp; Jordan, who was unable to break into the starting line-up at his previous club Ipswich Town, scored five goals in his first three appearances for the Terriers and has since gone from strength to strength.&nbsp; He finished leading scorer in both 2009-10 and 2010-11, on both occasions exceeding the 20-goal mark and topped this off with his first cap for Scotland U21s in March 2011. Jordan was also selected as the Terriers? Young Player of the Year for 2010-11.